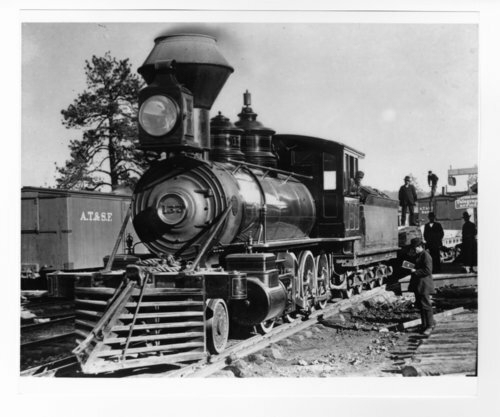 This photograph shows the Atchison, Topeka and Santa Fe Railway Company's steam locomotive #137 near Glorietta Mountain, New Mexico. The locomotive was built by the Baldwin Locomotive Works of Philadelphia, Pennsylvania with a wheel arrangement of 2-8-0. The engine is referred to as "Baby."